Fire analysis is a key component of assessing risk in nuclear as well as many other facilities. It is required as part of a Probabilistic Risk Assessment (fire PRA). We perform detailed fire modeling of nuclear, government and industrial facilities using our own in-house software FATETM and widely used public domain tools. With experience in model development, validation, participation in international exercises and application to nuclear power stations and fuel cycle facilities, we have developed and benchmarked our own models. We understand the strong points and the limitations of public domain tools, so that we can correctly judge the applicability of results for individual scenarios and the impact of modeling uncertainties. Fauske & Associates, LLC (FAI) provides a full range of services related to fire modeling. 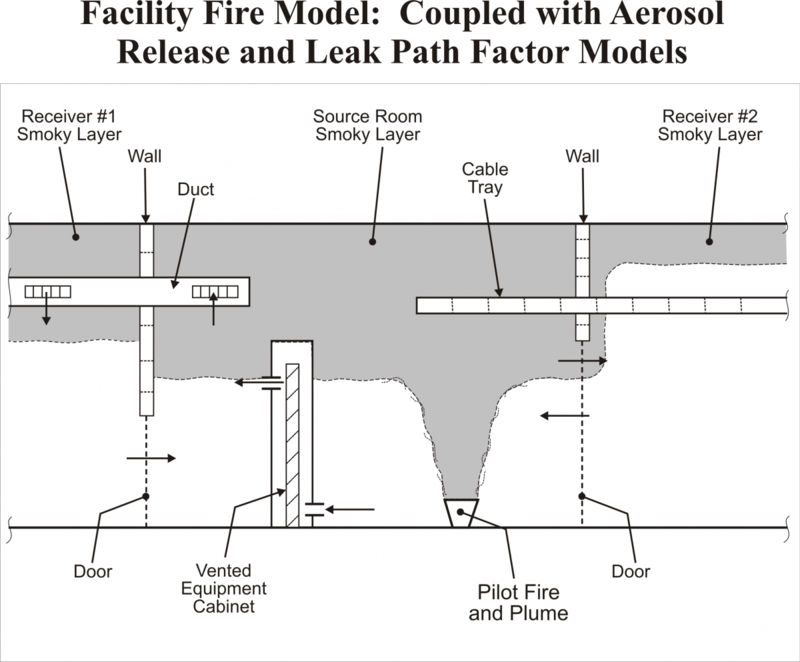 Levels of attack include modeling to support a full fire PRA, modeling to support safe shutdown analysis; a “triage plan” to determine where fire modeling would certainly resolve issues, could potentially resolve issues, or cannot realistically provide benefit; or a management plan to determine realistic cost and schedule associated with such undertakings given a plant –specific state of information. The key challenge in drawing conclusions from fire modeling results is simply how do you know if the results are correct, conservative or non conservative? This challenge is met through the experience of the analyst and familiarity with experimental data that are used to validate the fire models. The analyst must understand the similarities and differences between experimental configurations and scenarios and those plant configurations and scenarios that are being modeled. FATETM has multiple uses in a variety of industries and is a key to tool for severe accident prevention. Public domain CFD FAI-developed & licensed Nuclear QA Public domain "zone"
From the U.S. perspective, fire PRA methodology is outlined in a key document created jointly by EPRI and NRC, EPRI-1011989, NUREG/CR-6850. Tasks 8 and 11 pertain to fire modeling and cover scoping and detailed modeling respectively.